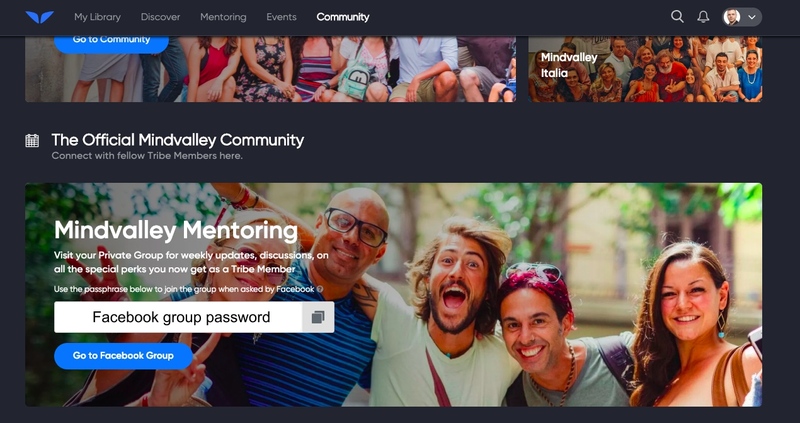 How to Join the Mindvalley Mentoring Facebook Group? Congratulations for joining our Mindvalley Mentoring! Like the name implies, we are a true Tribe and we want to grow together and share our learnings on the way. Important note: The Mindvalley Mentoring Facebook group is only available for Mentoring Plus Subscribers and is not included in the Mentoring Basic subscription. Our Tribe Facilitators will only approve your application if you type the correct passphrase. Please also note that it can take 1-2 business days to approve your application so don't be alarmed if you are not approved right away. Come and meet your Tribe and enjoy the journey together!